Brain breaks also known as energizers are short movement activities that educators typically use with young people to help recharge their minds and bodies after periods of sitting, but energizers aren't just for kids. When leaders integrate movement activities into meetings or trainings, they are modeling the healthy practices we want to encourage in afterschool programs and the profession AND participant concentration, creativity, overall health increases. 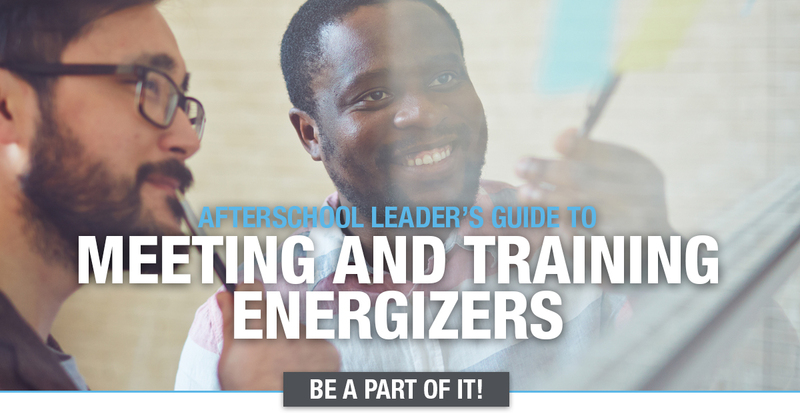 Do you have a favorite meeting or training energizer you’d like to share with the NAA Community?